If you are looking for a little extra space in your home or office, Metro Self Storage offers a wide selection of drive-up and climate-controlled units. 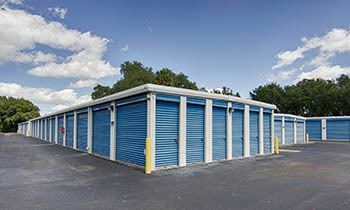 We provide an affordable and simple storage solution; from budget-friendly 5X5 to drive-up 15X40 units, you can find the perfect storage solution at our Fruitville Sarasota location. Businesses will find that our large storage units make great mini warehouses without the costs and hassle associated with relocating. Are you storing valuable items such as electronics, artwork, photos, or antiques? Consider one of our climate-controlled units for added protection from humidity and heat. We offer parking for boats, RVs, trucks, trailers, and cars. We look forward to meeting you. Call us, or stop by our friendly storage office and find out how easy it is to move in with Metro. If your business could benefit from commercial storage space, consider Metro Self Storage as your temporary or long-term solution. Our commercial storage units are available with climate control and many sizes offer drive-up access. Ideal for landscape and building contractors, 24-hour electronic keypad gated access offers hassle-free access anytime you need it. Our online account management, free seven-day hold, commercial vehicle parking, and 24-hour surveillance cameras offer the ultimate in service and convenience. Let us help you expand your business and increase productivity. Call us and find out how easy it is to move in with Metro. 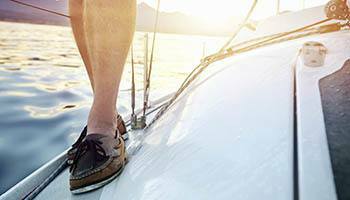 Soaking up the sunshine on pristine beaches or fishing off the Gulf Coast of Southwest Florida make it easy to feel like every day is a vacation. Maybe you are amongst the many tourists who visit our thriving community to enjoy warm weather and beautiful ocean vistas. In addition to our friendly and professional storage team, we offer the ultimate in service and convenience. If you are like most people who own an RV or a boat you probably love starting your day as early as possible and ending it as late as possible. Our vehicle storage customers enjoy 24-hour access, 365 days a year.